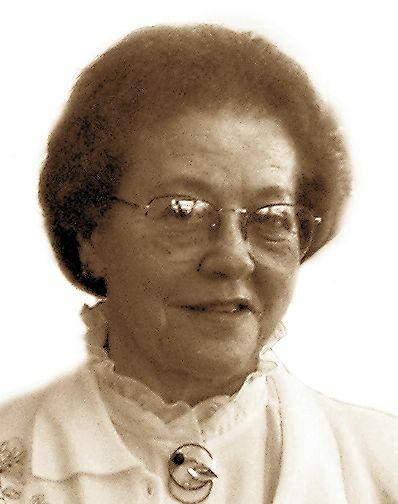 POLIO, Lucy C. (Sala), lifelong resident of Braintree, passed away peacefully on April 5, 2019, at the age of 93. Born and raised in Braintree, Lucy graduated from Braintree High School. Lucy was a Traffic Supervisor for the Town of Braintree for 47 years before her retirement 8 years ago. She was a member of the Braintree Sons of Italy. A devoted wife, mother, sister and grandmother, Lucy will be sorely missed by all who were blessed to have known her. Lucy was the wife of the late Samuel A. Polio. Loving mother of Robert Polio of Pembroke, Gary Polio of Amherst, NH and Richard Polio of Braintree. Sister of the late Louis Sala. Dear “Nana” to Samuel, David, Zachary and Benjamin and “Great Nana” to Lacey. Relatives and friends are respectfully invited to attend a visitation period on Monday, April 8th from 9:30 – 11:30 AM in the Cartwright-Venuti Funeral Home, 845 Washington St., Braintree. A Funeral Mass will immediately follow at 12:00 Noon in St. Francis of Assisi Church, Braintree. Burial will follow in Blue Hill Cemetery, Braintree. Should friends desire, memorial contributions may be made in her name to the Alzheimer’s Association, 309 Waverley Oaks Rd, Waltham, MA 02452.